When you get a new 3D printer using the most common FDM technology such as the MakerBot Replicator 2, one of the first things you will notice are the instructions on how to level the build plate. Doing a correct leveling adjustment of the build plate is one of the key factors in getting a good 3D print, as if the distance between the extruder’s nozzle and the build plate is not right you may have all kinds of trouble when trying to print. Most of the more affordable 3D printers that use thermoplastic material for printing do need manual build plate leveling adjustment from the user and the manufacturers of these have thought of various ways to make it easier for the users to do the calibration. There are also some newer more expensive printers that have automatic mode for leveling the build plate, but that may not always work great, although it may sound as a good idea to have as a feature. Normally you will level the build plate before the initial use, but you may also need to do some readjustments after printing several 3D models on the device – this depends on the 3D printer and what you are printing on it. So what are the symptoms of the build plate not properly leveled up? There are two common ones, depending if the printing nozzle is too high from the build plate or if it is too close to the build plate. If the printing nozzle is positioned too high from the build plate the thing that you will observe while trying to print a 3D mode is that the extruded material will have a hard time sticking to the base. And if the first layer cannot stick to the build plate, then there is not chance for the printer to print a proper 3D model. 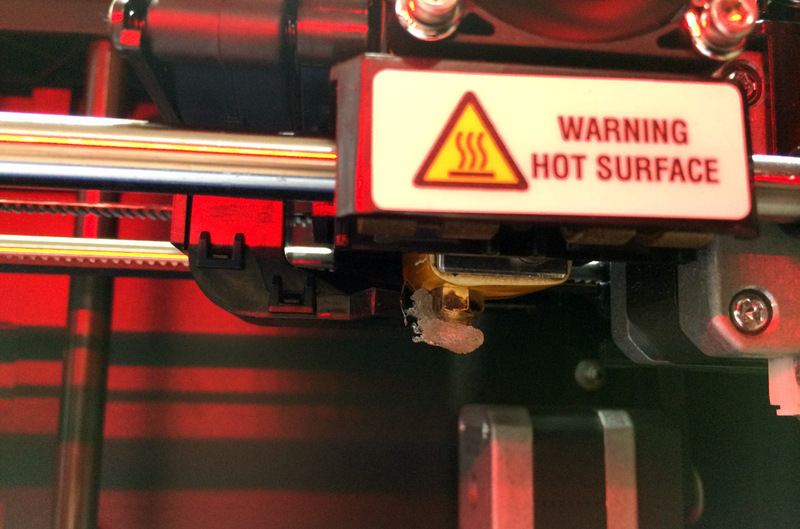 The other problem that you might have is if the printing nozzle is positioned too close to the base, this will cause the extruded thermoplastic to stick to the nozzle instead to the built plate. If the build plate is properly leveled you should have no trouble with the printing of the first layer, it should stick well to the base and should look squashed and not round on top (a sign that the nozzle may be a bit higher than needed). So make sure that you have the build plate properly leveled up before starting to print, especially if you haven’t used the printer for a while.